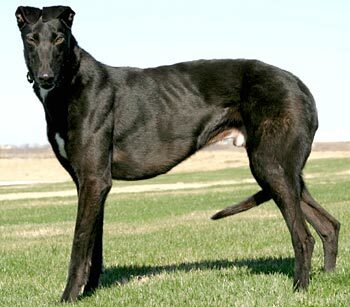 Nick, aka Sharp N Witty, is a handsome, 4-year-old black male born November 2, 2007. His sire is Super Lee, and his dam is Pearl Hart, making his grand sire the late, famous Gable Dodge. 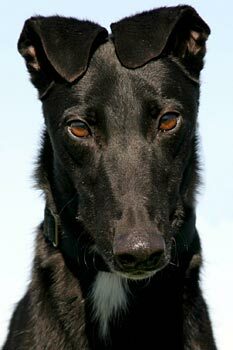 There are no races to Nick’s credit listed on Greyhound-Data.com. 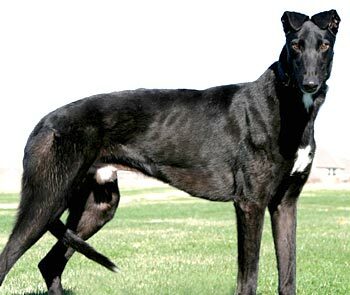 He arrived with 4 other greyhounds – Kelly, Davis, Joy and Noel - on December 16, 2009, from a coyote hunter in Amarillo. Nick was in a home for two years, but has returned to GALT due to these difficult economic times. He's got great house manners and just look at those adorable ears! Nick is not cat tolerant, but is small dog trainable.